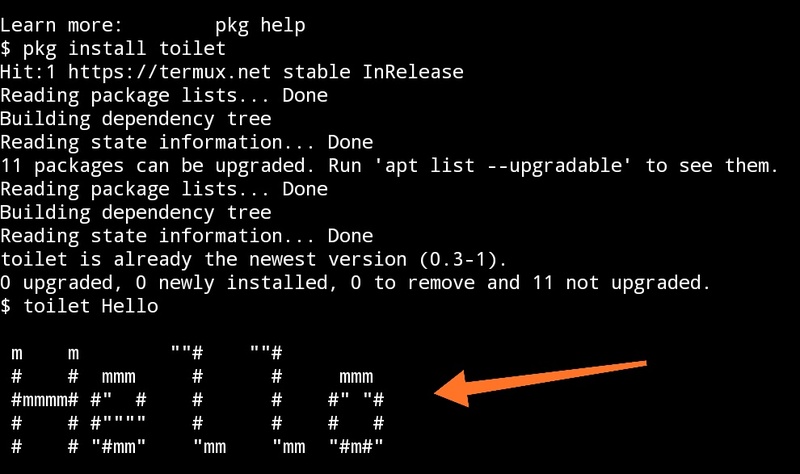 Home / tutorials / How To Write Text In ASCII IN TERMUX? 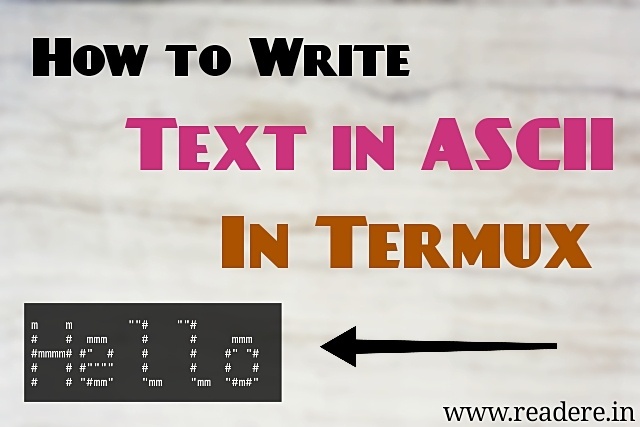 How To Write Text In ASCII IN TERMUX? In this Article, you'll learn to write your name or any text in ASCII in Termux shell. By this, you can show this trick to your friends or relatives to impress them. 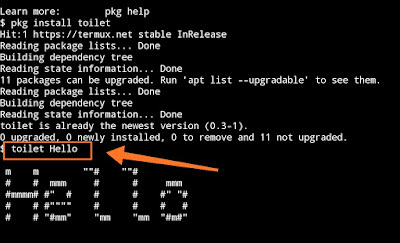 However, this is only for Linux based shell which means it will not work in Windows-based command prompt. 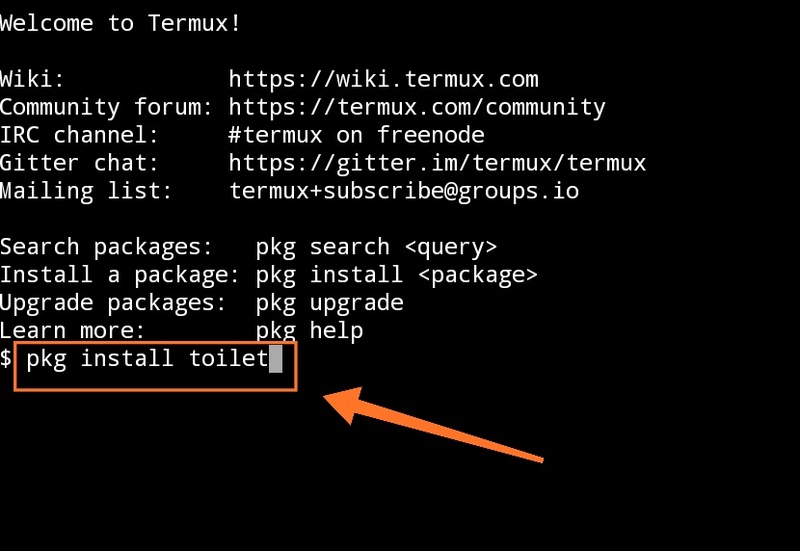 First, you need to download Termux from Google PlayStore. 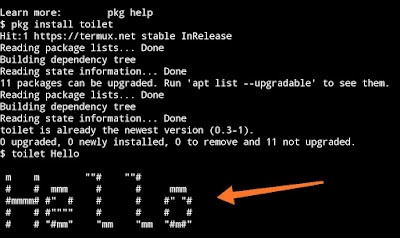 Here I'm telling only about Android Users [I don't know about Apple devices whether Termux supported or not]. Read also "Know about all types of Animations"
> Wait till progress is done. 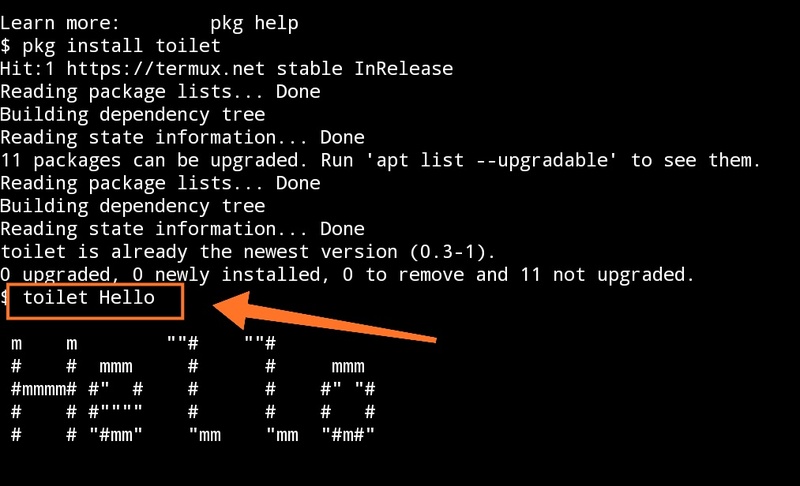 Once it completed, you have now a package of all ASCII code of characters. >Your're done, ASCII formatted design will appear for your text. Let me through your comments if you like this short article. 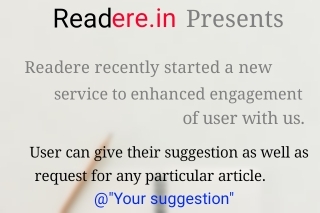 For any query or suggestions, you can also comment or contact through @SuggestionBox.